At the beginning of July, my wife Samantha saw a post from Chase Jarvis on his Instagram Stories feed asking for more people to submit applications to join an upcoming CreativeLive class. Looking into it, she saw that it was Advanced Lighting for Adventure Sports and Action Photography in a partnership with Red Bull. She didn’t even wait for me to say anything. Looking at the title and knowing what I want to do and where I want to go with my photography she took it upon herself to sign me up and see what happened. I have a ton of frequent flyer miles and hotel points, so the out-of-pocket expense wasn’t much and the chance to get to be a part of this and meet Michael and Chase was totally worth it. What she didn’t realize was I was working on something for work that was a larger project than I have ever been involved with before, and it was going to be due the Monday I was supposed to be in the class. All was good, the project was underway, and I was on a plane to Seattle. I wouldn’t call it “burden free” but relieved enough that I could sit in and take advantage of getting to learn from and talk to one of the best in the business. I was finally in the class though. 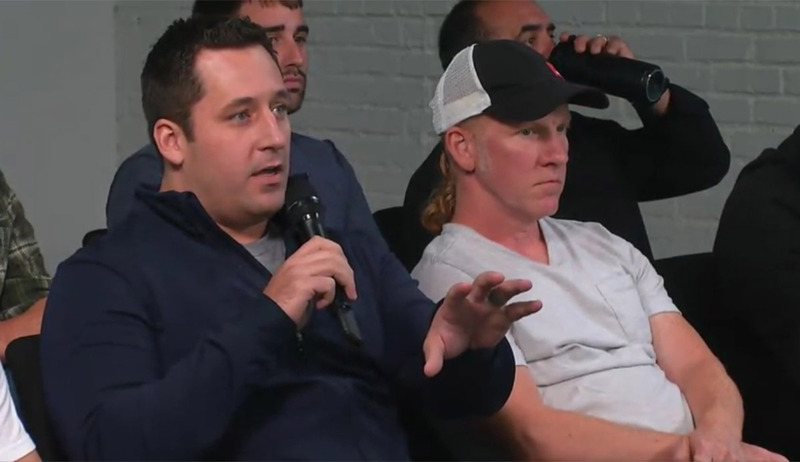 I’ve been watching CreativeLive for around 7 years now, and I think I was just as pumped initially to be AT CreativeLive as I was for the class itself. I immediately started looking around and trying to meet the other photographers that were going to be in the class with me. I met people from all of the US although most were from the Pacific Northwest, and not all of them were Sports Photographers. Some shot Weddings and others just wanted to learn more about how to capture the sports they love to take on over the weekend. What brought us together though was a passion for photography and an urge to further our craft by learning as much as we could. When it was finally time for class, I was energetic yet patient. I knew that we were going to cover a lot of the technical on the first day, and I already felt pretty confident in my knowledge of how to operate the camera and the lights. It wasn’t until Michael really got into it that I realized I was really enjoying covering the technical aspects of HSS, Hyper-sync, and Hi-sync technologies, and I think part of that came from my ability to relate to Michael as an engineer. He’s a physicist by education and takes a very technical approach to his photography, and that’s something that immediately spoke to me as a technically minded person and helped me really appreciate who the information was coming from. That’s not to say that I don’t trust non-engineers, but there’s a mindset that you get into when you study long enough and you almost seek out your sun-fearing brethren. But, I digress… The point of the matter is that I really enjoyed even the parts of the first day that others might find the most mundane. During breaks, however, was when I really was getting the most out of the experience. 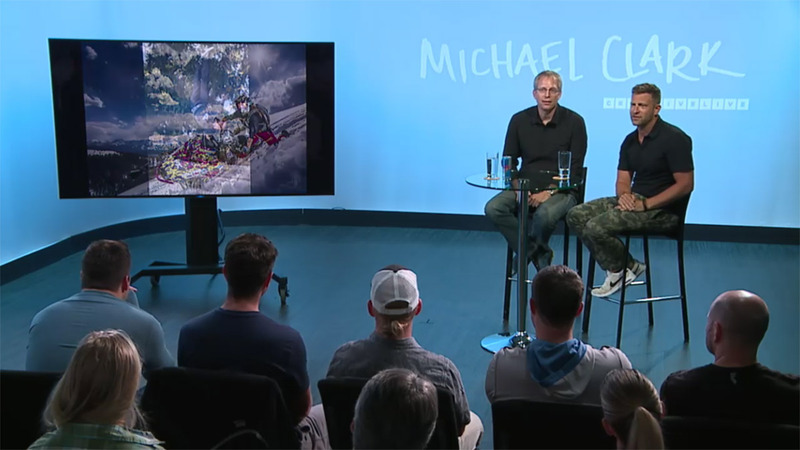 When I wasn’t on the phone trying to confirm everything was going well with the project we were turning in, I was seeking out my fellow photographers and Michael himself to talk shop and ask questions of people who were at different stages in their careers. I wanted to learn how people were getting footholds, what was working, what wasn’t working, what they were thinking about trying, and – of course – Michael’s thoughts on different aspects as well. I was able to talk to him about utilizing Medium Format in action sports and how he went about choosing a different camera for each shot or project, whether he preferred using the leaf shutter vs. the Hi-sync that his Elinchrom lights offered, and a ton of other topics that helped me continue to try and figure out the ever-changing puzzle that is commercial photography in the 21st century. In the afternoon it was finally time to watch some pre-recorded sessions of Michael working in the field with a group of other Red Bull photographers. It was great to get to see Michael put the technical into motion and see how he approached the different aspects of a shoot. The importance of a portrait during an action session became much more apparent, and it was awesome to hear him speak towards focusing on different aspects of his photography that continued to help him up his game as well. I would say the most important aspect of what I took away from watching Michael shoot and hearing him talk about it was that there is never a status quo or a plane you achieve that lets you slack. You can always learn and better yourself, and it may mean looking outside your industry in order to do so. It was great to hear how humble he was as an artist and to get to learn from him experience and have an idea of what it takes to make my way down a path similar to the one he’s traveling. Seriously, I can’t say enough great things about Michael and how positive an influence it was to get to be a apart of that experience. Day two was much like day one but with more video and other shoots with less technical. What I realized I needed to focus on though were the breaks and the down time in between. I kept engaging and networking, and as the day went on I realized how much having a community to talk shop with is necessary to keep you thinking about new aspects and seeing your craft in a way that will help you grow as an artist. The other big take away was to try and find somebody you can reach out to and talk to as a mentor. Even if it is something very informal and infrequent, having somebody that you can go to and ask for guidance from is a value that I can’t even put into words. I know that having a mentor in any aspect of life is important, that’s part of what my Heroes on White project is all about. But, with photography and how independent and individualized it can be day to day – especially if you’re a one-man-band like most of us – can get you into a funk. Having somebody to help change that up and bounce an idea off of every once in a while is going to help you break through those perceived barriers, and visualize your success in a real way. They may not necessarily tell you the answers and there is no perfect path to success as a photographer, in fact I don’t think that’s something you should even ask for. You need to fail and learn and figure it out for yourself, but you all might need somebody else to help you approach that response to failure differently than you would on your own. 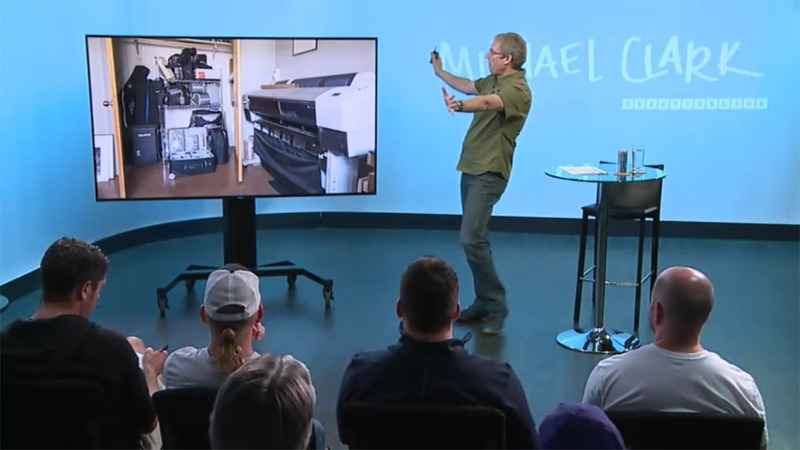 I don’t know that I’ve ever even found that at this stage in my photography, but just spending a few hours with Michael – somebody else who is in the industry I want to be in – helped me realize how much a few, quick conversations can be so valuable. So, I’m not saying I have it figured out by any means, but I did want to be sure that I shared the most valuable take away I had from my time at CreativeLive. So, if you’re ever interested in learning more than you even planned to, take a shot and head on out to CreativeLive for an in-studio class. Their online content is amazing, but being in the class takes it to a whole new level. Thank you again CreativeLive and Michael Clark for being such awesome hosts for this experience, and I’m looking forward to my next one!